Note : Quotation & Prices. The company (IPM Group) shall be entitled to withdraw any quotation at any time prior to the company's acceptance of an order, or at any time if there has been an obvious pricing error or technical malfunction, even if the order has already been confirmed by email. Unless otherwise stated in the quotation, every quotation shall lapse unless accepted. Can I credit my account before I make an actual purchase ? Can I pay in multiple currencies ? Can I pay for my full purchase using a credit card ? Can I pay for my purchase in cash ? Do I have to give you my credit card number online ? What are intermediary bank fees? How much should I send to cover these costs ? Where and in what name should I send my payment ? GST - When is it applicable ? Which items or purchase’s are effectively exempted ? Can I return or exchange products that I have bought from IPM ? What is your cancellation policy with respect to the purchase of precious metal bullion products, before delivery has taken place ? How does IPM calculate market loss repayments for the purchase and then cancellation of precious metal bullion products ? What happens if my payment does not reach IPM by the stipulated deadline ? When purchasing investment metal product(s) from our company, we will reserve your item(s) at the price set on the e-commerce website checkout for 30 minutes only. Orders can only be honoured if bank transfer payments are credited during our office hours of 8.30am to 7.00pm (GMT +8) Monday to Friday . If payments are made outside of office hours then IPM Group will have to instigate a new invoice the following day if the market prices have indeed moved. Deposit Required : We need to receive good credit in the currency you are intending to trade in (US$ Sing$, Myr, Sterling or Euros) of at least 10% of the total purchase price via bank transfer or 8% over PayPal (Debit / Credit cards). If payment is not received within the time frame given, we reserve the right to either cancel your order, or provide a new quotation based on the latest metals (product) price. We are happy to extend the payment receivership time frame, but please contact us to confirm your arrangements. You may wish to pre-credit your own personal customer account with funds so that it may facilitate your purchase. If you have in fact arranged / pre-paid 10% of the total purchase price then the remaining 90% of the invoice has to be received within 2 business days of the initial order being placed, after which we reserve the right to either cancel your order, or provide a new quotation based on the latest market price. Again we are happy to extend time frame for final remaining payment, but please contact us to confirm your arrangements. You can view your credit at IPM at any time using your own personal customer logon details. Note on Cheque Payments : We have noted a number of fraudulent cheques paid into the banking system, we therefore require a copy of either your IC card or passport to support your cheque payment, adherence to this policy will be strictly followed - thank you. 1. Walk in cash payments are presently not accepted, however if you have pre-paid a deposit and wish to pay the remainder in cash then we have a cash limit acceptance of Sing$15,000, we also require a copy of either your IC or passport to support cash settlement. 2. Cash on insured courier delivery is strictly not accepted. 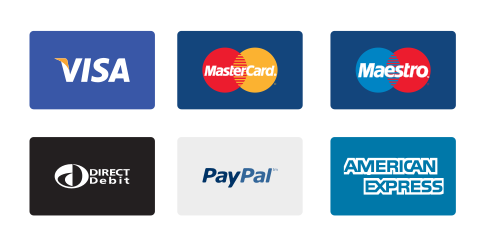 We are now accepting credit payment from a number of different credit cards and debit cards, through our payment gateway with PayPal. We will only accept credits received through PayPal to a minimum of 5% and a maximum of 10% of the total invoice - to lock in the price of the metals and confirm the trade. Further payment will be by direct bank transfer. Using PayPal you can credit anyone of these cards above. Buyers can use a Visa, Mastercard, Discover, American Express credit cards to pay with PayPal. You can also use any debit cards that display the Visa or Mastercard logo. Please take note: All funds received through PayPal come with a surcharge of 5% (which is charged by PayPal to us), hence any credit received will have 5% deducted.The adjusted credit will then automatically be credited to your specific account via your email address. by our payment gateway provider. Note on surcharge cost: Obviously 5% surcharge on PayPal usage sounds expensive, but based of a 8% deposit of the total invoice amount (the remainder by bank transfer or cash) actually only equates to an increase in the total invoice of 0.5% (1/2 of 1%). This payment will guarantee your product price fixed at the time of purchase. The remaining funds can be received within 48 hours by bank transfer. We do offer cash payment settlements on the remainder of the invoiced purchase price, but this is to a limit of Sing$ 20,000, we also require a copy of either your IC or passport to support cash settlement. As stated in the above section ‘ how can I pay for my purchase? ’, payments of at least 10% of the total order needs to be received promptly to guarantee your product price(s) in the currency you have ordered in (US$, Sing$, MYR, Sterling or Euros). When you make your purchase it is very important that you send us an email at orders@indigopreciousmetals.com with the details of your payment instructions so we can check the relevant bank for receivership of good credit. Please quote your order invoice number or your email address in the reference field on your payment instruction. Your name and your IPM customer email should be clearly referenced on the back of the cheque. When sending us a cheque in Sing$, please ensure that it is drawn in favor of IPM Group Pte Ltd.
Can I credit my account before I make an actual purchase? You may wish to pre-credit your own customer account with funds so that it may facilitate your future purchase. Please make sure you email us at orders@indigopreciousmetals.com or call on +65 315 827 91. Please reference your customer email. If you wish to initially pay 10% deposit and guarantee the price(s) of the product(s) that you have selected please keep in mind the remaining 90% of the invoice has to be received within 2 business days of the initial order being placed after which we reserve the right to either cancel your order, or provide a new quotation based on the latest price. Can I pay in multiple currencies? · If your entire payment is by bank wire, you cannot pay in multiple currencies but must pay in your transacting currency only. · If a part of your payment is by bank wire; the bank wire component of your payment must be in your transacting currency only. If you pay in a different currency from the one you purchased in, your payment currency will be converted into the purchase currency at IPM’s daily currency exchange rate. Using PayPal you can credit anyone of these cards. Buyers can use a Visa, Mastercard, Discover, American Express credit cards to pay with PayPal. You can also use any debit cards that display the Visa or Mastercard logo. Can I pay for my purchase in cash? We accept cash payments up to a maximum limit of Sing$ 20,000 on self collection only at our Raffles office, however the customer is required to pre-pay a deposit to guarantee price before collection. Walk in cash payments are presently not accepted, however if you have pre-paid a deposit and wish to pay the remainder in cash then the cash limit of Sing$ 20,000 has to be adhered to, we also require a copy of either your IC or passport to support cash settlement. Do I have to give you my credit card number online? We as a company do not personally take any credit card details, all payments using Debit or Credit cards are submitted through our PayPal payment gateway provider. What are intermediary bank fees? How much should I send to cover these costs? Most international wire transfers pass through at least one intermediary bank. Intermediary bank fees are levied by these intermediary banks and not by the sender or recipient bank. If you specify the exact amount that should reach IPM, your bank will advise you on how much more money you need to send to cover the intermediary bank fees. Where and in what name should I send my payment? If you are paying us from the funds already credited to your IPM customer account, you do not need to send us any money. We will deduct the sum you owe us from the funds on your IPM account. If you are paying us by bank wire, the beneficiary should be IPM Group. Detailed bank wire instructions (address, account number, etc.) will be available on the Transaction Processing page during the checkout process and in the confirmation email that you will receive. NOTE: To speed up your purchase, please carefully follow our bank wire instructions. In the reference line of your bank wire, please put the IPM account holder’s name, followed by your email [e.g. John Smith (johnsf@gmail.com)]. Certain precious metal products are treated as “Investment Precious Metals” by the Singaporean and Malaysian Tax Authorities under the GST Act’s and hence are exempt from GST. The products on our website will clearly show which items are individually exempt from GST. The Freeport Facility (and Brinks) is a bonded warehouse/zone and hence any goods held there are not considered to have entered Singapore so do not attract GST. 1. Malaysian customer purchase and ship to Malaysia. The system will treat this as an export hence no GST will be incurred. However we will send you a separate invoice if any items of your purchase are GST applicable under Malaysian law. 2. Malaysian customer purchase and ship to Freeport. The system will treat this as a local purchase hence GST 7% will be incurred, but only on product items that are not considered 'Investment Precious Metals' . Most of our customers are very satisfied with the products that they receive. Sometimes, however, you may find that the products that you receive are circulated (previously owned) or seem to have some reddish or whitish spots on them. Most of these spots and marks are just residues of chemicals used in the manufacturing process by the Mints or Refiners. Often, they can be polished off with a soft cloth. Even if they are hard to clean off, they do not impact the value of the coin/bar because they are not impurities but just superficial marks. Your coins/bars are no less valuable because they have these marks. The value of precious metal bullion coins and bars depends primarily on their metal content and not on their appearance. Minor blemishes and regular wear and tear do not deplete the value of precious metal bullion coins and bars. Your coin/bar will fetch its full market price whenever you resell it. · A like-for-like exchange can only be done if the products that you bought are in stock. · If the product that you bought is unavailable, you might be offered a similar product in exchange. · If the product that you are offered in exchange is more expensive than the original products that you bought, you will be charged the difference. · We cannot guarantee that the products that you are sent in exchange will be uncirculated. · You must send your original products to IPM in their original packaging by any shipping method of your choice, at your own cost. · IPM will charge you at the usual applicable rate for shipping products in exchange. Our products come directly from the refiners and hence are guaranteed genuine. Products once sold, cannot be returned under any circumstances. IPM can only offer to exchange your products. We do not offer refunds, but we can buy back your products from you at the prevailing market price at any time. For information on selling products back to IPM, see our “Selling precious metal bullion products FAQs”. For every cancelled purchase, an administrative fee of Myr 100 (Sing$ 30, US$ 20) will be charged. If the price of the precious metals you were purchasing rises above the price at which you agreed to purchase them, there will be no additional charge. If there is no change in price from the time you make your purchase to the time it is cancelled, there will be no additional charge. IPM incurs a market loss when the price of the precious metals you were purchasing falls below the price at which you agreed to purchase them. Should this happen, you will be charged the equivalent of the resultant decrease in the total value of your purchase in addition to the administrative fee. When you cancel a purchase, in addition to paying an administrative fee, you may have to reimburse IPM for any market loss we sustain as a result of the cancellation of your purchase. If there is no change or an increase in price from the time you make your purchase to the time it is cancelled, you will be charged only the administrative fee. However, if we do sustain a market loss (i.e. if the price of the precious metals you were purchasing falls below the price at which you agreed to purchase them), you will be charged as illustrated by the following examples. If your purchase is cancelled at your request before the payment deadline, the market loss will be calculated using the relevant IPM live spot price that prevails at the time when you request the cancellation. IPM will issue multiple payment reminders before cancelling your purchase. If your purchase is cancelled due to non-payment, the market loss will be calculated using the last available price fixing published by the London Bullion Market Association (the London PM Fix) on the day that the payment deadline expires. Any market loss repayment and administrative fees that you owe may be charged to your credit card or deducted from your cash balance held with us. We will send you an email to notify you of the charge. What happens if my payment does not reach IPM by the stipulated deadline? Your payment must be received by IPM no later than two business days from the date on which a price is confirmed for your purchase. If we do not receive your payment by this deadline, IPM may deem your purchase to be cancelled and you may be liable for market loss repayments and other fees, as described in our T&C (Terms and Conditions). If you expect your payment to be delayed, please call +65 315 827 91 to have this fact noted on your account. We will obviously make a special circumstance on late payments if you inform us before deadline.